All of these templates are 100% customizable! 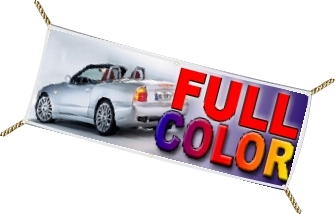 Quality Vinyl banners customized for your Business and store, celebration, event or promotion. banners are great for your indoor or outdoor events. All banners are hemmed and grommet for easy hanging. vinyl or digital we can help. We ship to all US state. Commercial and Residential Businesses Apartment and Stores. 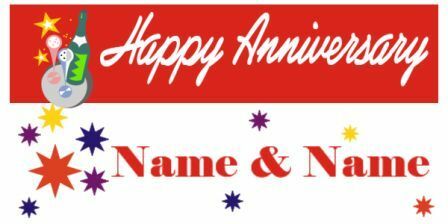 Special Event Banner, Anniversary Banners, Baby Shower Banners, Family Reunion Banners, Graduation Banners, Window Banners, Large Banners, Boulevard Banners. and fabric materials using solvent inks and U. V-curable inks. A number of British towns and cities have whole series of banners decorating their city centers, effectively advertising the town or its special features and attractions. or single-sided. Grommets can also be added in order to facilitate hanging of the banner. Large banners (which can be so large that they cover the side of a building) are printed on a special mesh material so that the wind can pass through them. Vinyl banners as listed in the International Sign Association guide are a low cost form of outdoor advertising. Most banners are now digitally printed on large format inkjet printers which are capable of printing a full color outdoor billboard on a single piece of material. the side of buildings. In windy conditions, if Grommets are not fastened into the hem of a vinyl banner, these grommet holes will easily tear out of the banner.